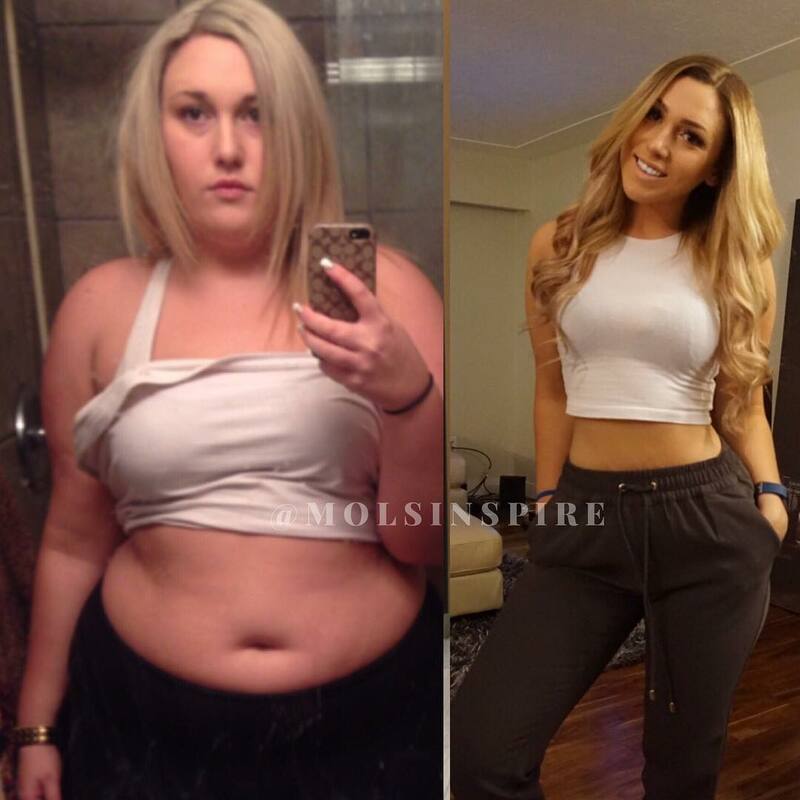 Molly Smith, aka Molinspire on Instagram, saw her naturally, slender frame pile on the pounds as she developed a serious food addiction. 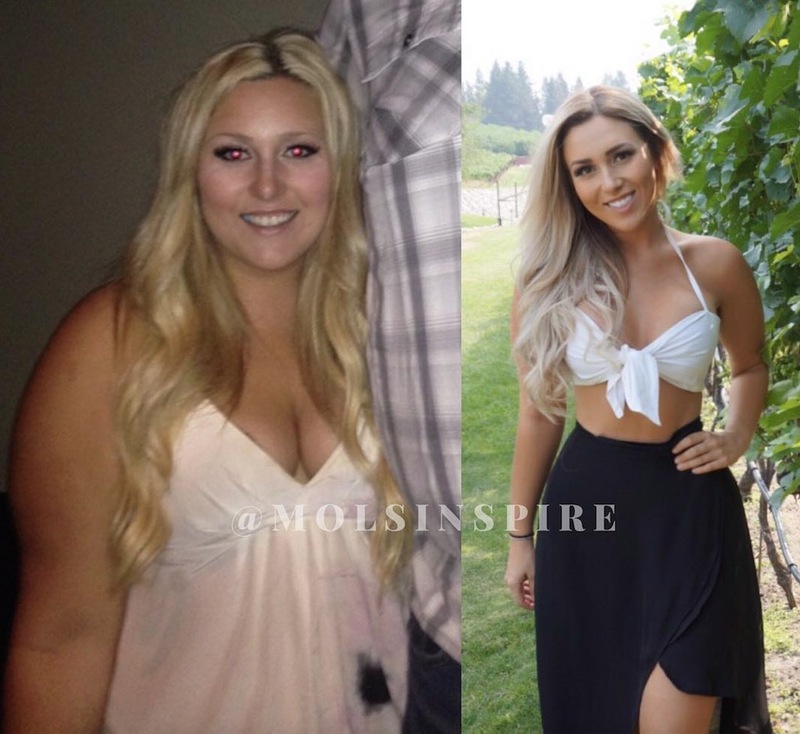 She struggled to contain her love for food and binging on snacks and even though the Canadian student came from an active family, her secret, high calorie splurges led her to weigh almost 236 pounds. 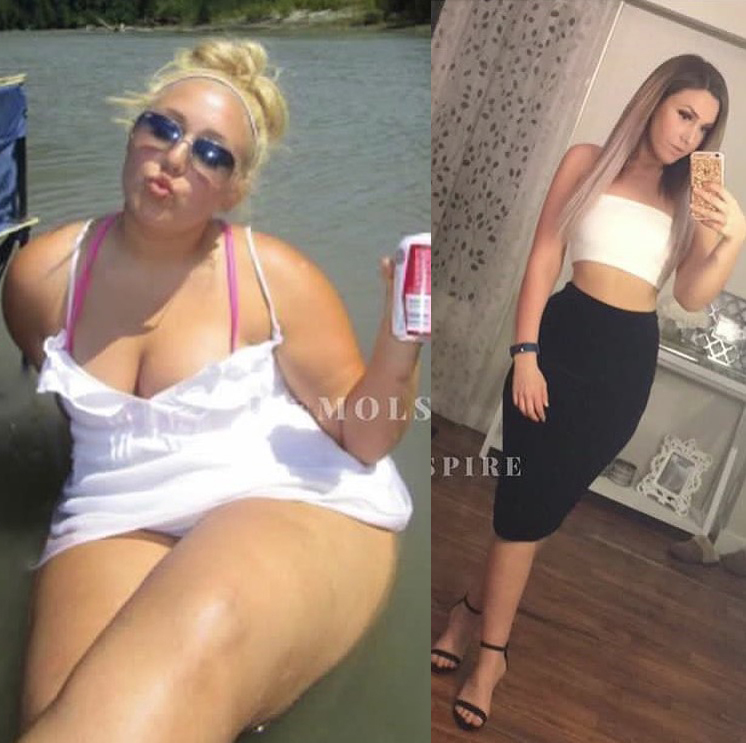 Molly says that it was an ex love interest that started her trying to lose weight, as she was worried she would fall for someone “who would never be interested in her“. 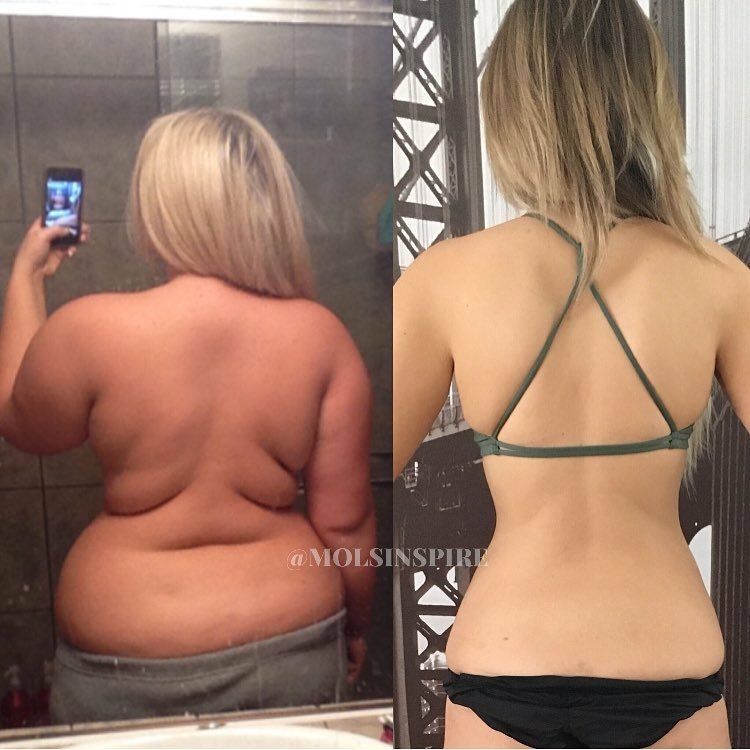 Be Sure To Follow Molly On Her Instagram: @Molsinspire And Her Youtube: Molsinspire. 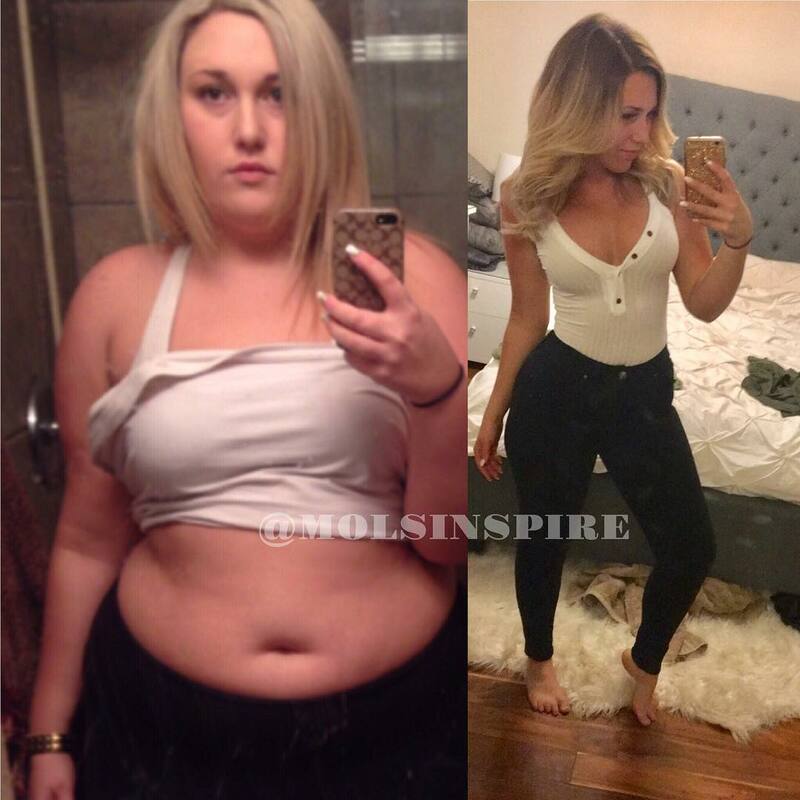 Molly’s insane appetite for unhealthy, high calorie snacks led her down a path to obesity and depression that took control of her life. The 24 year old had fallen into a troubling spiral and found it hard to see a way out. 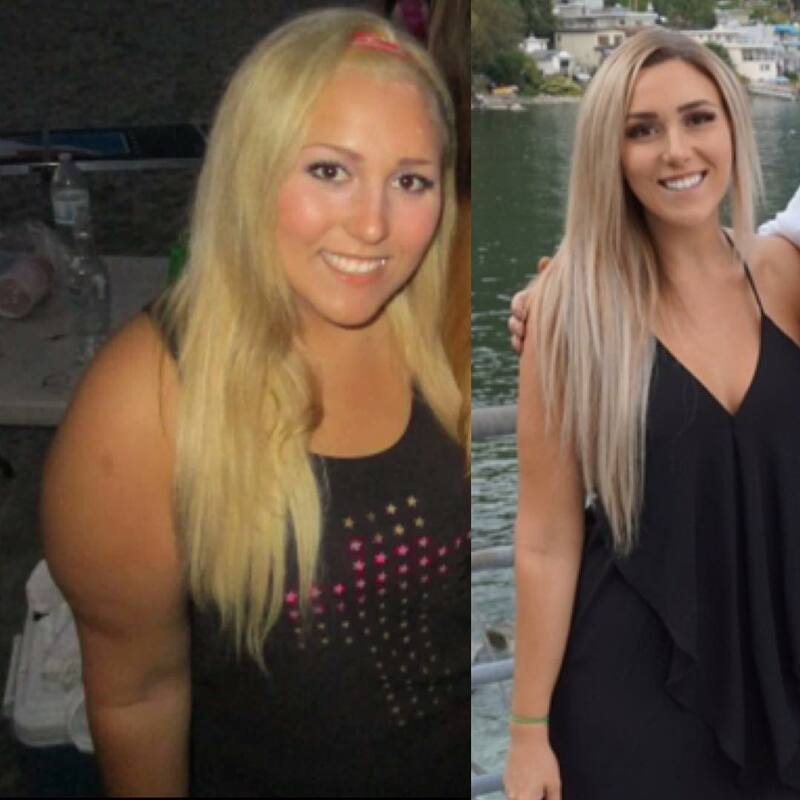 Despite growing up slim and healthy, her addiction to binging had changed all that. 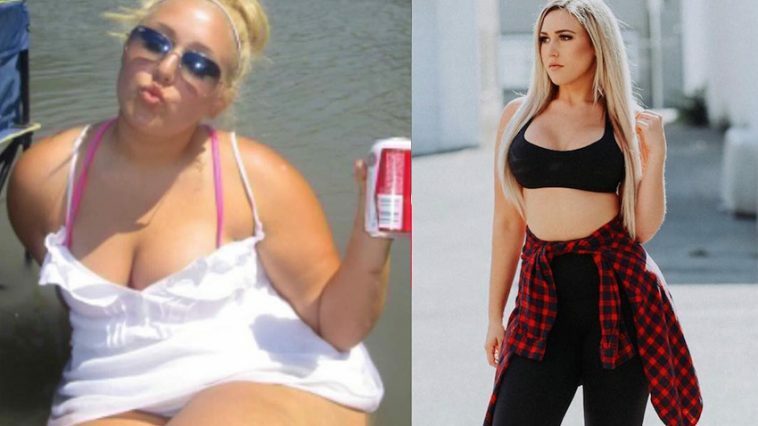 Molly described her old self as extremely lazy and a food addict. As well as causing the decline of her physical health, she also started to notice changes in her thoughts as well. It wasn’t until Molly started falling for someone that she decided she needed to take action. 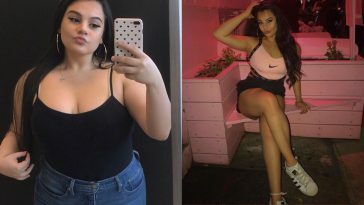 She didn’t want to have feelings for someone who she felt “could never be interested” and decided to drastically change her eating habits and routine. 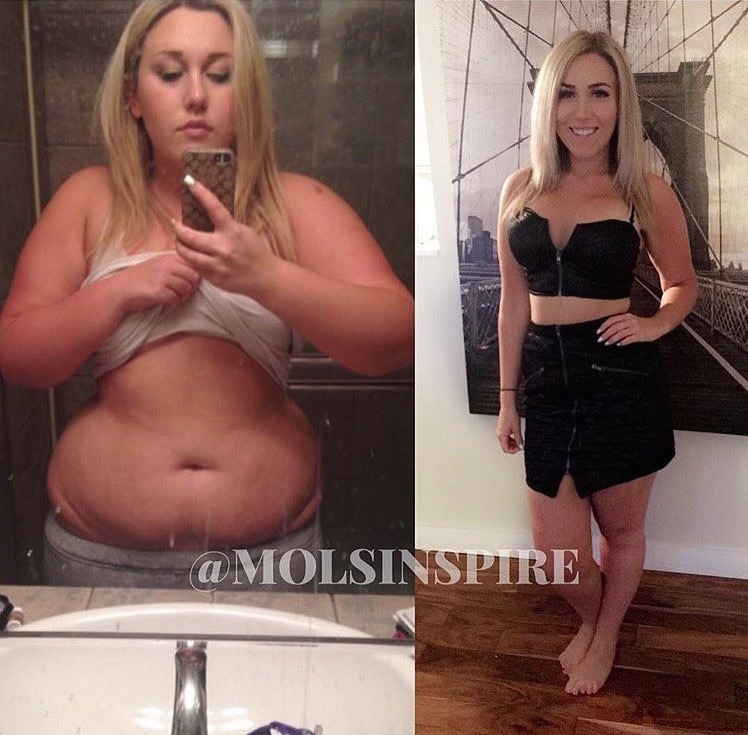 Initially, Molly fell into a common first time dieters trap of feeling that eating less is always better and to lose weight, you have to restrict yourself to the extreme. 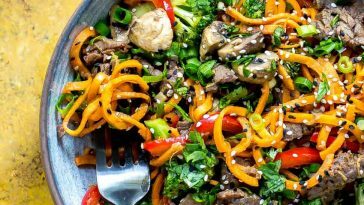 Eating more calories and providing her body with more energy, she was able to continue her weight loss at a much healthier pace and no longer felt like she was starving throughout the day. 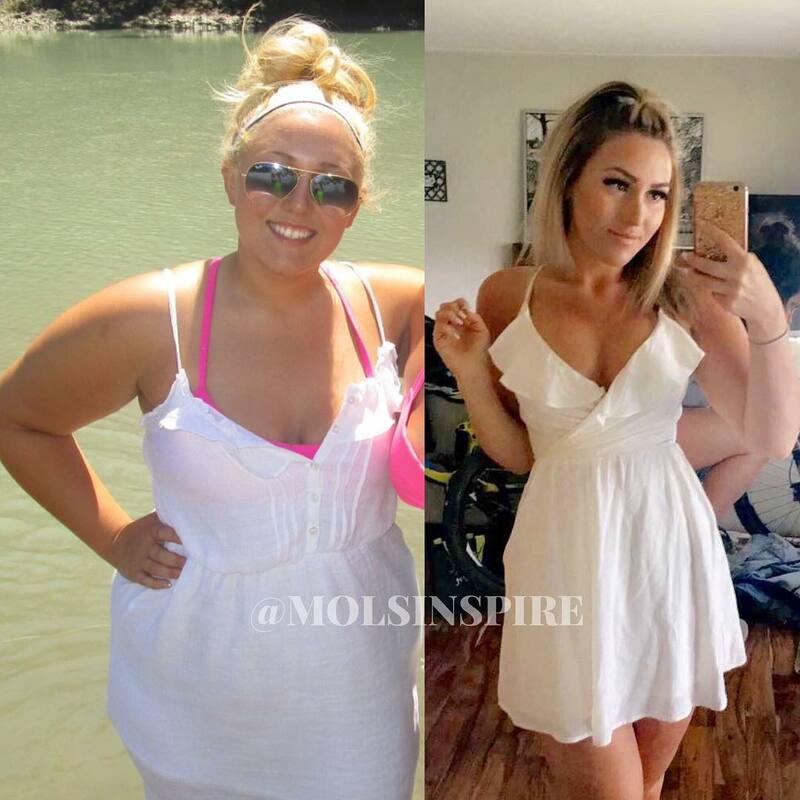 At the beginning, Molly ate foods that she thought would make her lose weight. 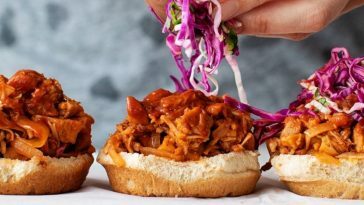 Now, she focuses on foods that will keep her healthy and the weight loss comes naturally after. 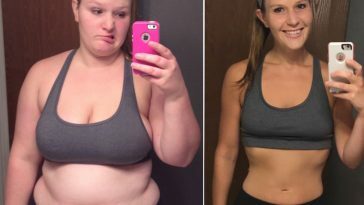 With a healthy eating mindset and a new love for exercise, Molly dropped an incredible 95 pounds (from 236, to around 142). 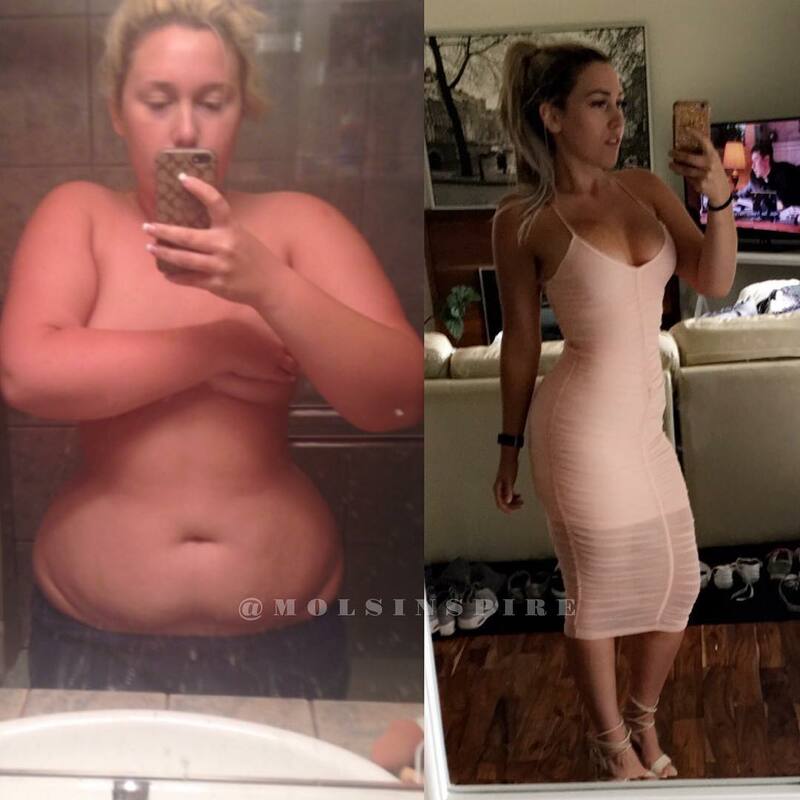 Molly has one of the most famous transformations on Instagram and currently inspires almost a quarter of a million followers everyday! 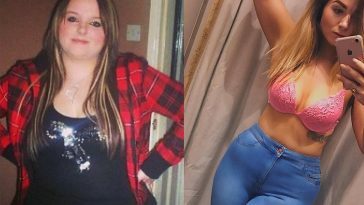 Even after completing such an amazing transformation, Molly still admits that she struggles from time to time with body image issues, but overall is in a much healthier place both physically and mentally. 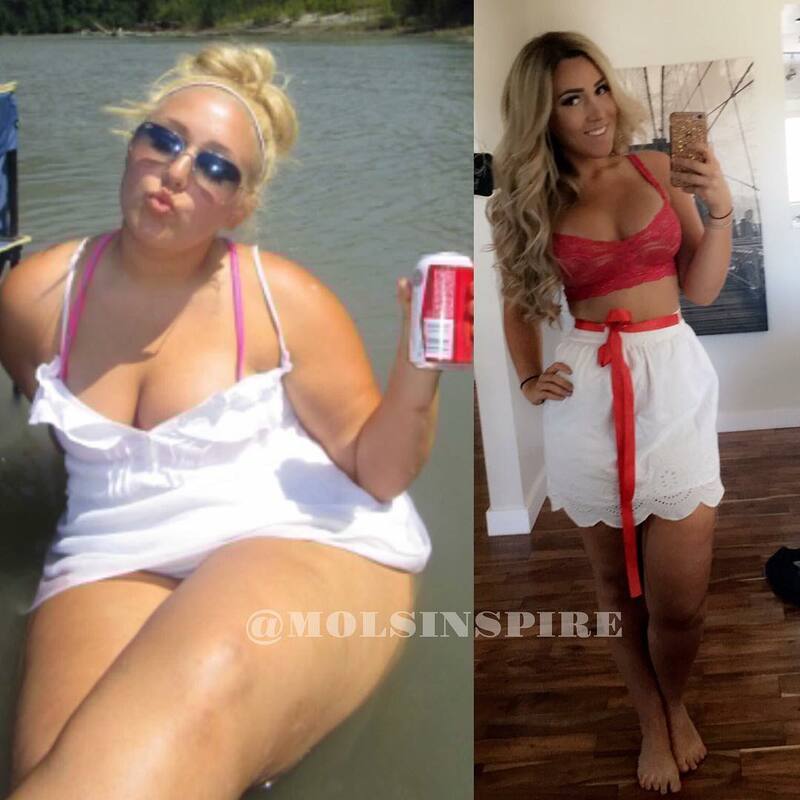 Molly knows better than most that losing weight is a long, tough journey. The only way to get through it is to remain consistent and keep focused on your end goal, especially when you have bad days and feel like giving up. 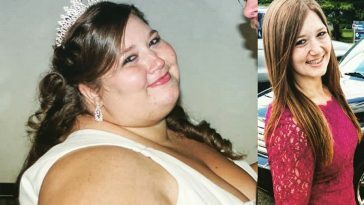 Molly’s advice to those starting their own weight loss journey is to not take on too much at once. 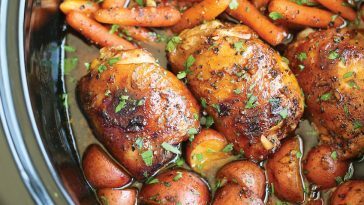 You didn’t gain all the weight in a day, so don’t try and lose it all in a day. 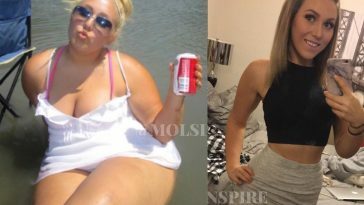 Diet Article: Molly’s (Molsinspire) Diet Meals For Losing Over 95 Pounds Naturally & Keeping It Off! 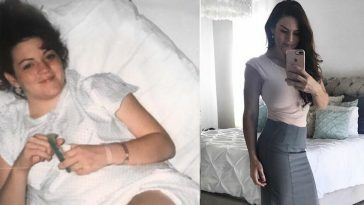 Previous article Love Island’s Montana Brown Reveals Her Favourite Booty Workout! 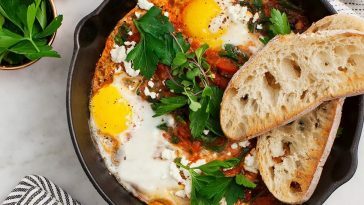 Next article 34 Amazing Weight Loss Workouts For Women That Can Be Done At Home!